I love cookies and these look delicious! In Portugal can be found in pastries a similar cookie called "Hungaros" ;) Yummy! these look so cute and good! yum :) happy Friday lovely! OMG they look so cute and yummy!!! I love chocolate so i'm going to be trying out this recipe this weekend . Looks delicious . Thanks for sharing . So nice and so tasty! I always love that kind of yummy posts! Oh, these look soo good. Shortbread is always a good idea. This is one of my go-to recipes. 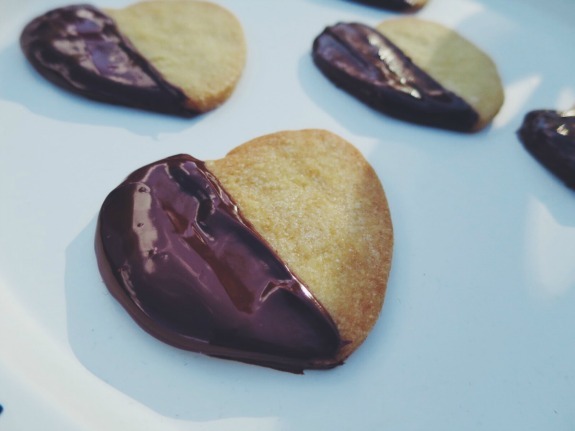 Chocolate dipped shortbread is easy and also always tasty with visual appeal! These look so yummy and have really made me crave shortbread! I haven't actually got anything sweet in the house so I'll have to do some baking to remedy that! I love shortbread. I love the idea of adding chocolate to it! Hi girls! You have a fantastic blog, I really love it!!! Ive been loving baking recently! i might actually try this recipe tonight!! Thanks for sharing they look delicious! 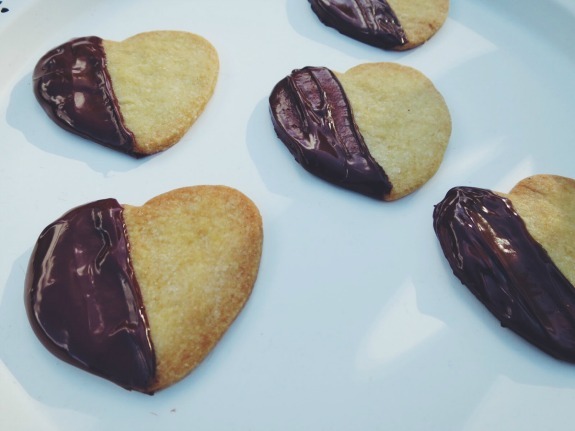 Oh, I would love to have at least 10 of these shortbreads now! 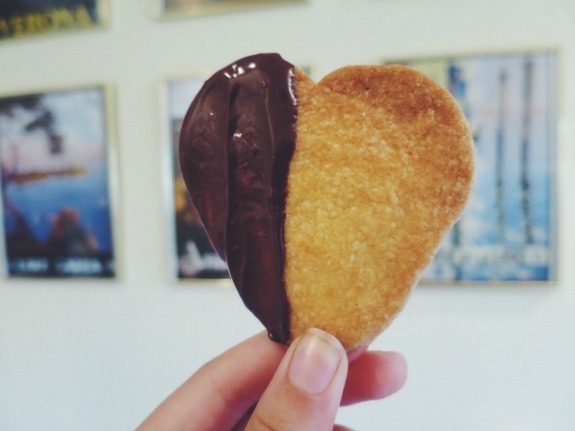 Especially because you dipped them in chocolate :) Thanks for sharing and have a lovely weekend! Yum, yum, yum, these looks delicious!! looks delicious! I will be trying them!